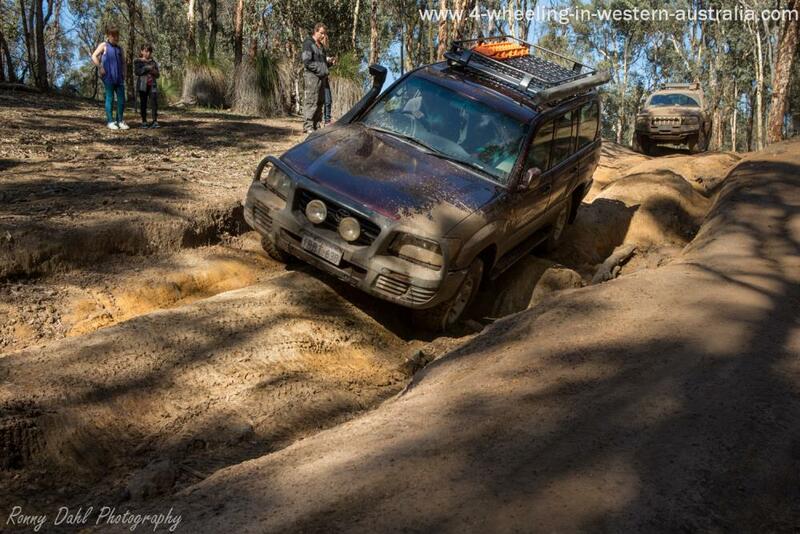 Welcome to '4 Wheeling in Western Australia', we are local to Perth and we enjoy spending most of our spare time 4WDing and exploring in Western Australia. Most information on this site is from our own, family or our friend’s personal experiences from our countless 4wd adventures. This site has and will be growing every month as we head out on the tracks as much as possible so stay tuned and subscribe to our YouTube channel with over 200 4wd, tips and camping related videos. 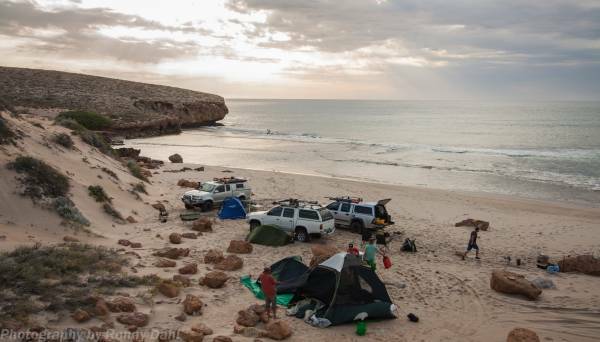 Here on this website we will show you places in Western Australia where you can go away for just a day trip outside Perth or on an overnighter or a couple of weeks, we will show you where you can take your 4WD for an exciting drive, or just get to that perfect spot, maybe for camping, surfing, fishing, relaxing, sightseeing or all of the above. There is nothing better than having the whole beach to yourself and be able to park your 4wd right on the beach. As we take you around locations in Western Australia we have been to, we will tell you a little about some worthy tourist attractions you may come across on the way. 4 Wheeling In Western Australia - Latest Video. 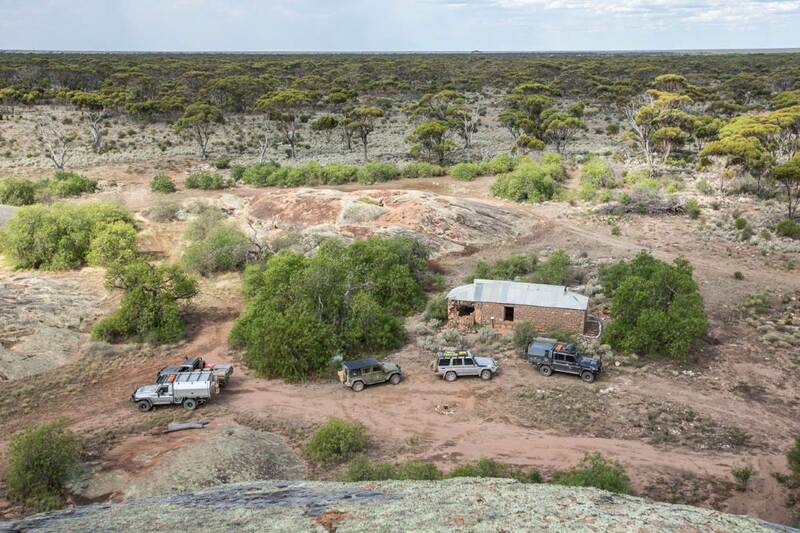 Want to join us on an adventure, see the outback, beautiful coastal locations, tough bush tracks, travel with other like-minded people? 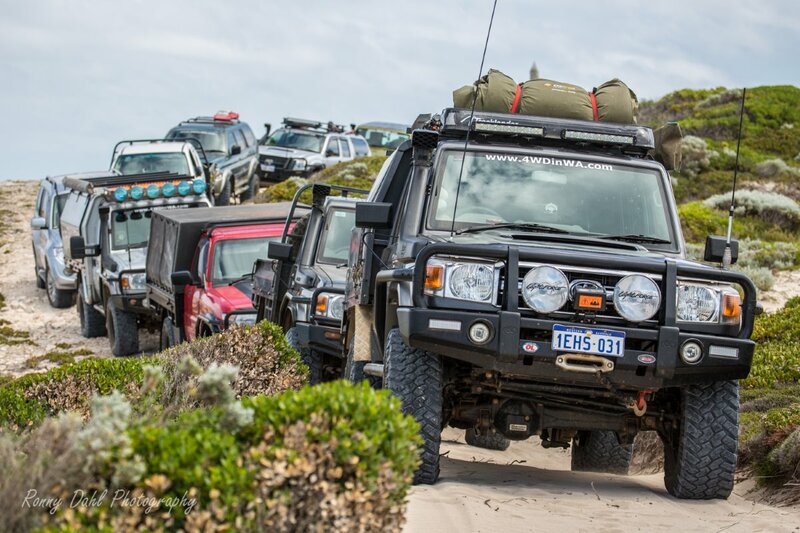 Then see our 4wd Tag-along Tour pages, we cater for beginners and experienced 4 wheel drivers, we love to help and share our knowledge with other people. We will show you where to stay if you are bringing the family or maybe you prefer to sleep under the stars in your swag if you’re on a boy’s trip 4 Wheel Driving. 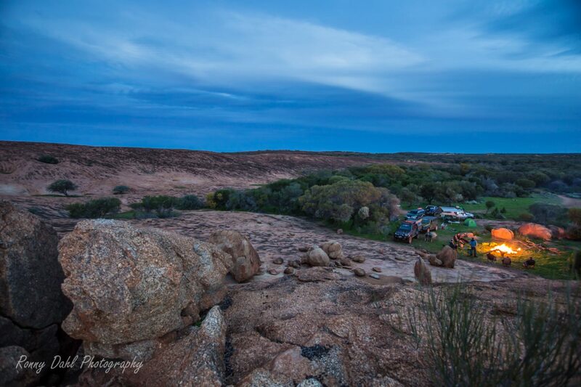 We will also share our experiences and tips about powered camp sites, unpowered camp sites & bush camping. You can also support us online at 4-Wheeling-In-Western-Australia.com for some great deals I.e. Rapid tyre deflators, tyre repair kits stickers, T Shirts and much more. To Take A Look At The Online Shop Click Here. 4 Wheel Driving and Recovery. We will share tips from our experience & knowledge on how to get your 4WD unbogged from the sand or the mud pit you may get stuck in and how to improve your 4WD and prepare yourself for the rough conditions in the West Australian outback, along with what you need to bring along so that you are well prepared. We will give you tips on recovering vehicles the correct way. Remember safety always comes first when driving, especially off road. Different Terrains and how to conquer them. 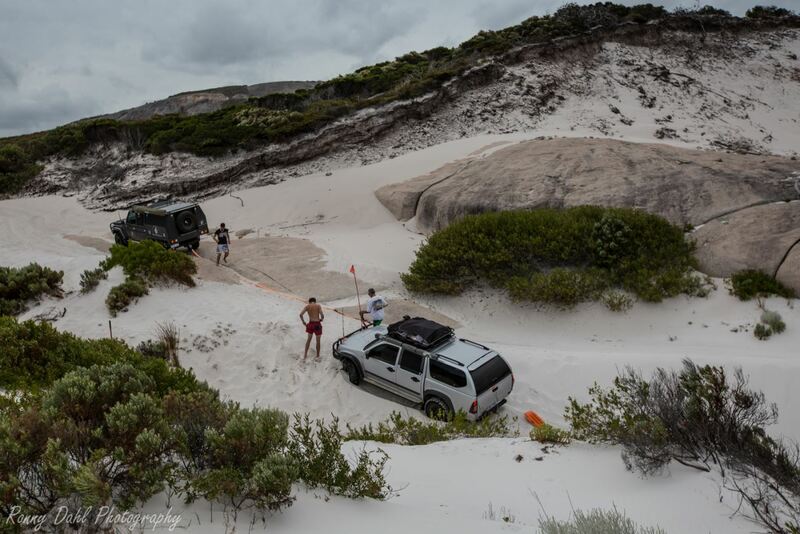 We will show you how to cross rivers, climb the hills & sand dunes, crawl over rocks, driving through overgrown tracks, sand driving, how to tame corrugations, drive on muddy tracks, dry clay tracks, crossing salt lakes & other challengers. We even have information on night four wheel driving. 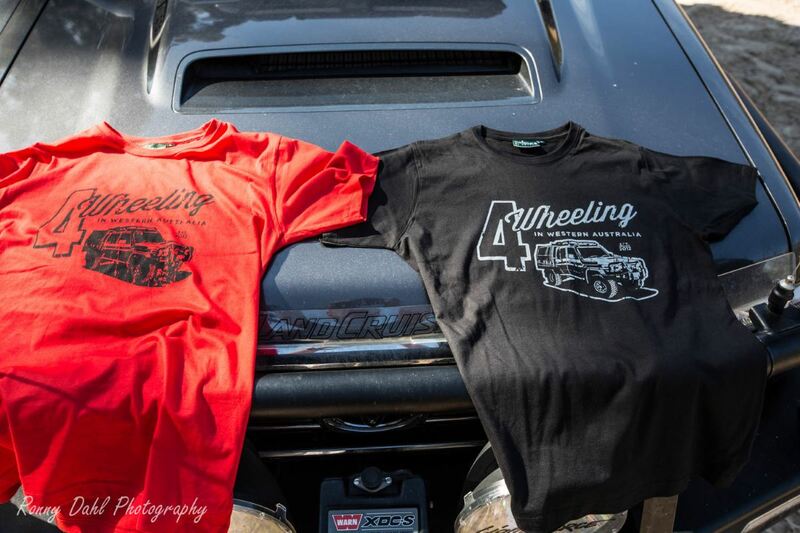 4x4 vehicle accessories and custom 4wd setups. We will show you our 4wds and our setups, what accessories we use and why, what's essential, what's not, even what tyres we use and what psi we run on different terrains. You can even share you 4x4 build on this website. 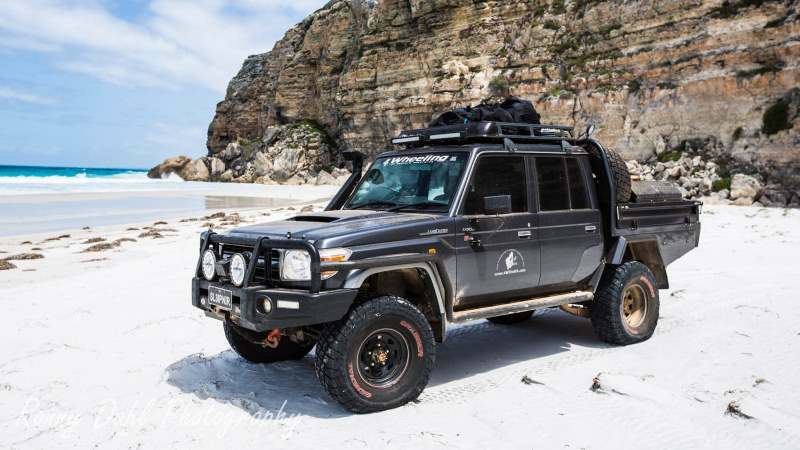 All 4WD trips on this site have been done by us at least once, all trips will be rated from easy to extreme and will go into detail as to what type of terrain to expect. New to 4 Wheel Driving. 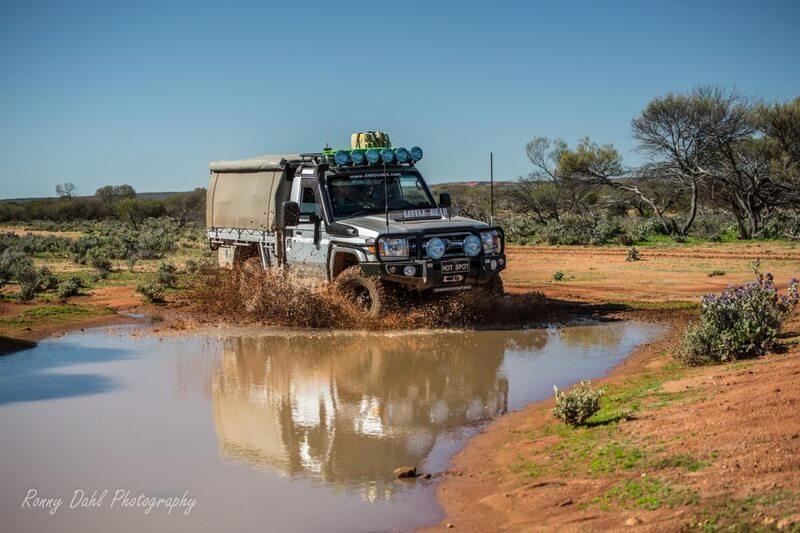 If you are new to Perth or Western Australia, maybe just moved here from another state or territory maybe even from overseas, or maybe you just bought a 4WD and you are prepared to get it dirty, wet and covered in red dust from the great Australian outback then 4WDinWA is for you. Our website contains several hundred pages and can be a bit overwhelming for new visitors. If you find it hard to find what you are looking for please try our Site Map where most of our pages are listed in alphabetical order and you can also use our Google Site Search, placed in the top of the right hand column on all pages. Don't forget safety comes first, see our 4 Wheeling Safety Tips.